When it comes to basic economics, everyone knows that scarcity can lead to an increase in demand and a greater sense of value for an item. That’s the foundational idea behind limited edition products — unique branded items that are created and sold for a certain set time period in a specific market. Limited edition products are found in every industry, from cosmetics to car companies to technology. The limited edition strategy isn’t just a technique used by big companies — it can be a great way for small and medium sized businesses to attract new customers and get them into the store. Like all marketing efforts, a limited edition campaign must be backed up by strategy. Before coming up with a new product, think of what you wish to accomplish with that item (i.e. a 50% increase in first-time customers, a boost in summer sales, more buzz on social media, etc.). Then, determine the customer base that can help accomplish those goals. 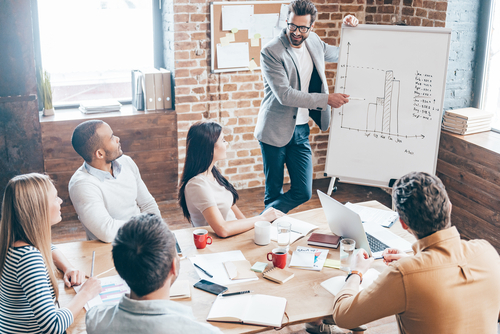 These two factors can be determined through brainstorming sessions with your team, and should be backed up by reliable market research and data. This research should take into account the demographics of a selling area, the type of product customers want, how they want it branded and packaged, and how that limited edition item can be best rolled out into the market. The concept of limited edition isn’t just product based. Every time a restaurant or cafe announces a daily special that has been popular in the past, it’s, in its own way, boasting a limited edition product. Same thing if a cleaning company creates a huge spring cleaning promotion for the first 50 customers during the start of the new season. It’s all about determining what customers want and tapping into the urgency of that desire. Limited edition can also be as simple as taking one of your products and making it available only in store, rather than through your online shop. Or it can be the stocking of a set number of items from a popular brand. Study the customer and product trends that have been successful in the past and incorporate that research into your strategy. Here’s a large-scale example. Coca-Cola is one of the most masterful marketers of the limited edition product. Think of the hugely successful “Share a Coke” campaign. For a limited time, soda drinking customers were able to buy Coca-Cola bottles and cans emblazoned with their name or the name of their loved one. The limited edition nature of this campaign gave customers a sense of urgency to find their name on a bottle — before it was too late. After the campaign, the Coca-Cola blog published an article about the strategizing that went into the campaign and the impact it had on sales and brand awareness. While the Coca-Cola brand is one of the most recognizable on Earth, the article shares some important insight into how to create and successfully roll out a limited edition strategy. Making something limited edition isn’t a surefire way to have it become a success. Customers can have a love-hate relationship with limited edition, as it can create unnecessary urgency around a product, and in some cases foster a dramatically over-inflated market for the reselling of those items. Take New York skatewear company Supreme, for example. Every season they release a line of limited edition clothing at a small number of locations around the world. Once they sell out, they’re out for good, which means huge lines form outside the stores and customers get into online buying battles with bots. The resell market then reportedly inflates items between 200% and 600%. While this shows there’s definitely demand for the product, it can be annoying, discouraging, and ultimately pricey for customers. If deciding to try out the limited edition model, make sure you do your research first. Create new and exciting items that mesh with customer data around what has sold well in the past. Success will come when you strike the balance between scarcity and demand.